Whack-a-Mouse is most likely exactly what you think it is: It's like Whack-A-Mole, except for cats (though there's certainly nothing wrong with turning it into a family affair). 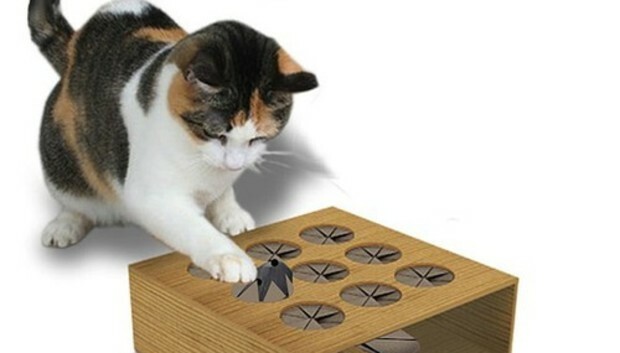 Available for purchase from ThinkGeek, Whack-a-Mouse comes with five holes arranged in the shape of a paw on one side, and a nine-hole grid on the other. Instead of automating the whole process, Whack-a-Mouse lets you take charge and use a mouse-on-a-stick to titillate your cat.